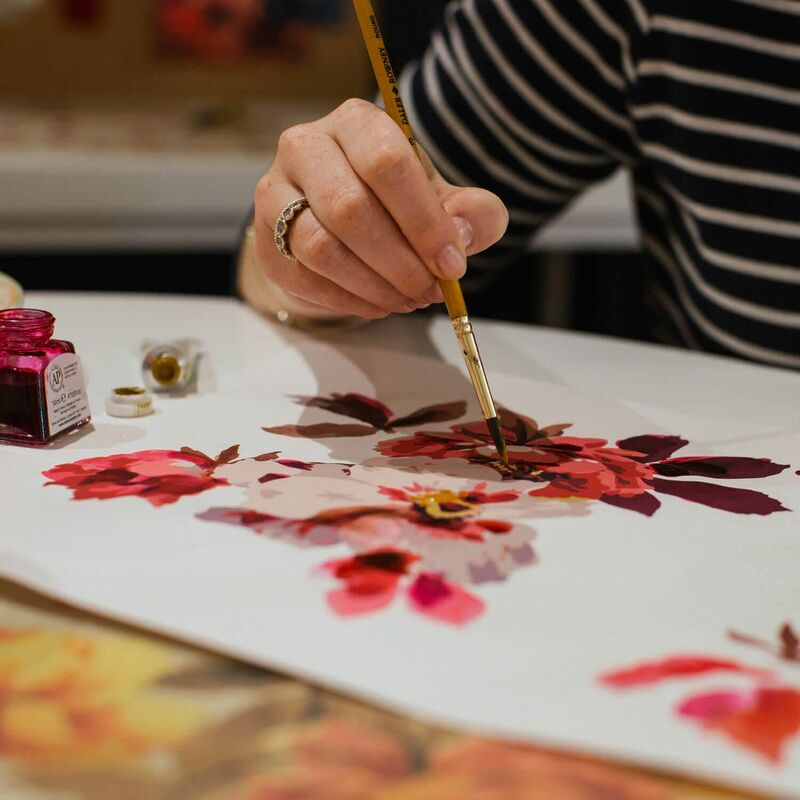 Did you know, the original hand drawn and painted prints that feature on our clothes are all created by our in-house team? 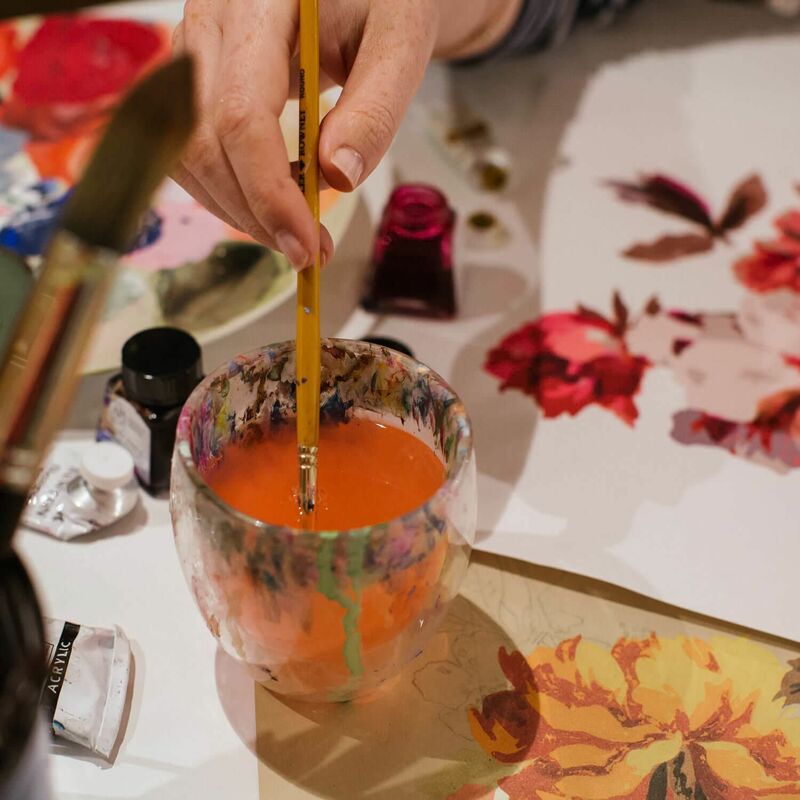 Constantly impressing us with their talent and creativity, we found ourselves curious to ask, what inspires them? Q: Can you tell us about your typical day? 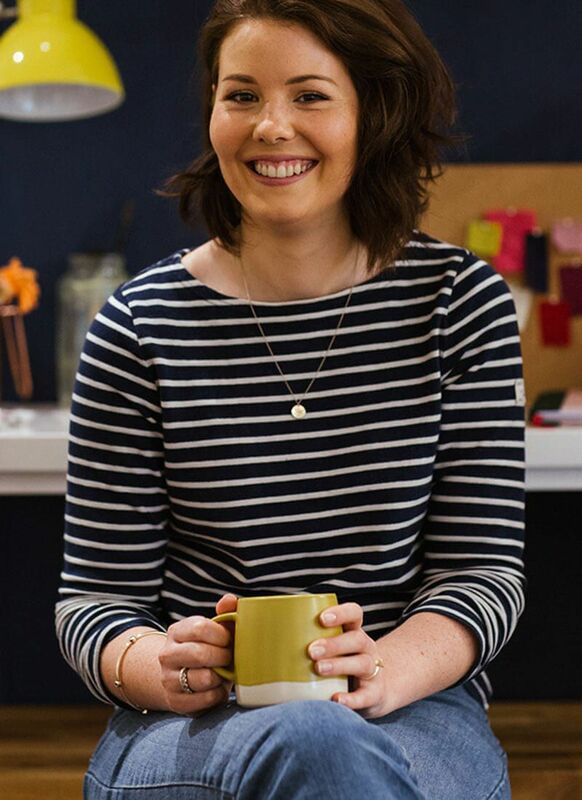 “As a Senior Print Designer at Joules, I tend to focus on womenswear. A typical day for me means I’m rarely at my desk. We start designing for a new season every six months or so, focusing roughly two years ahead. “Initially, it’s all about the creativity. So I’ll be out and about researching and getting inspiration, before spending hours creating original sketches and paintings. We then spend a long time making sure our prints are the best they can be. 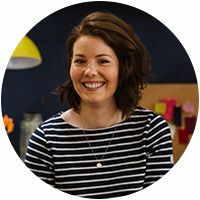 So on a typical day, you’ll usually find me helping our incredibly talented team to fine-tune our work, motivating everyone to create most incredibly beautiful work we can. Q: It sounds busy. Where do you go to be inspired? 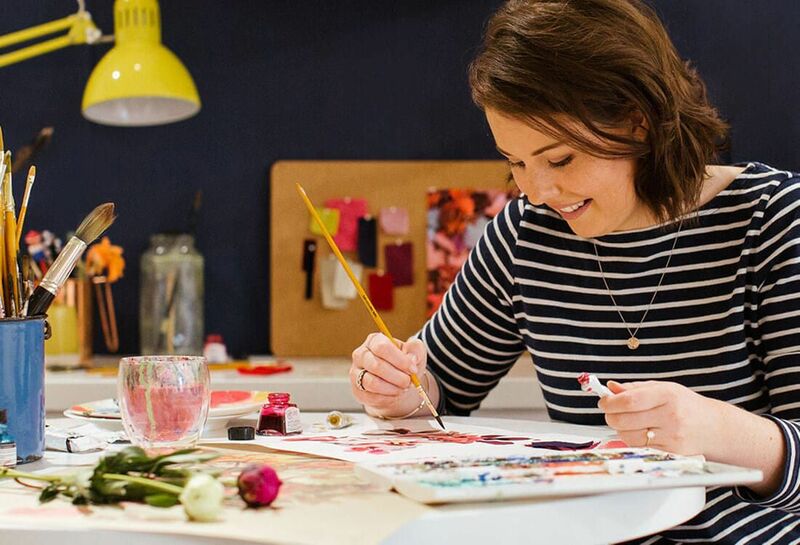 “At Joules we’re not really trend or catwalk led, we’re more inspired by the great outdoors. So for inspiration I’ll head off to Britain’s beautiful countryside or coastline with my sketchbook and some paints and drawing pens and just draw flowers. We’re pretty unique in that our main inspiration comes from the nature around us. 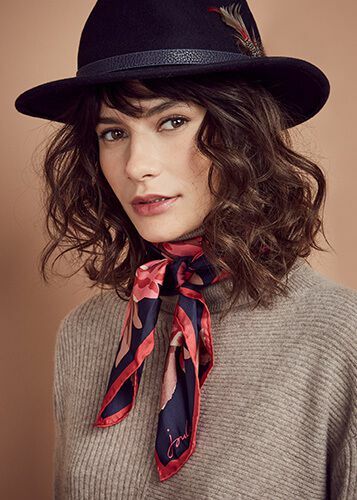 “For AW18 our design theme is ‘A Wander In The Woods’ and we headed to Norfolk. Everyone knows the coastline, but the woods there are beautiful and quite mysterious. We foraged for leaves, acorns and chestnuts, then spent time drawing and painting them. Q: Where did the inspiration for Bircham Bloom come from? 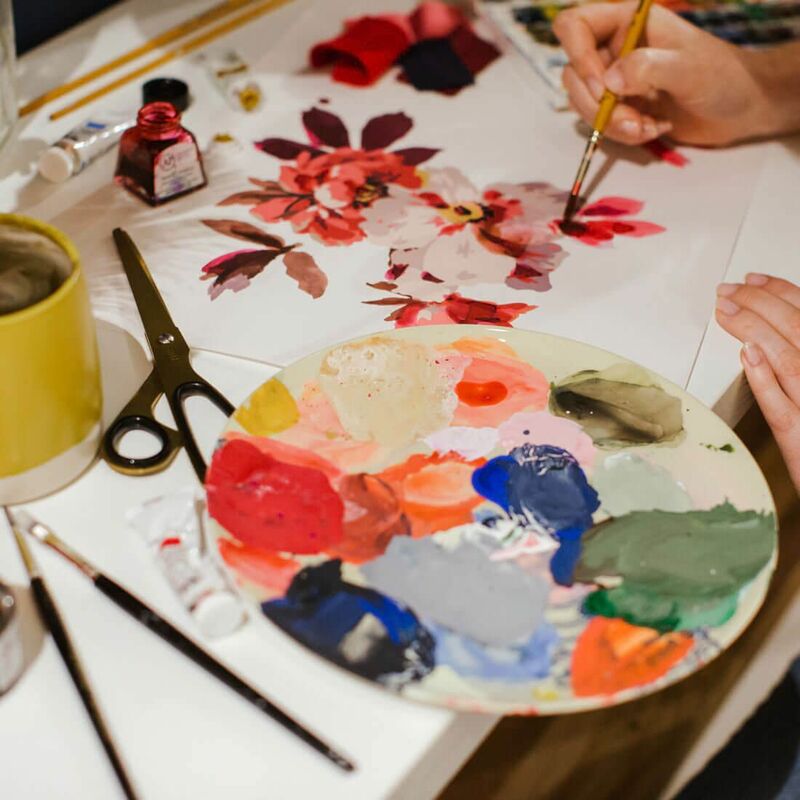 “The Bircham Bloom floral was actually inspired by a vintage print with the most wonderful composition of florals on it. We loved it as soon as we saw it, it just looked really autumnal. Featuring leaves, roses and peonies, it was just beautiful. I saw so much potential in it. “So I took this original vintage print and started playing around with the layout. I cut out the floral shapes and rearranged them into a new arrangement. 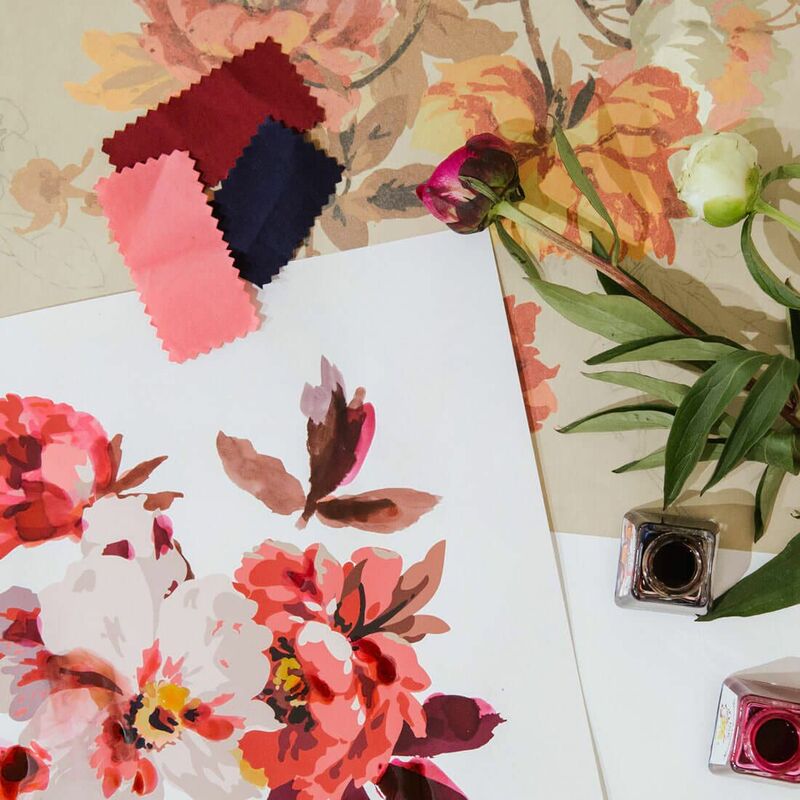 It immediately felt a more contemporary and easy-to-wear design, just by picking out some of our favorite flowers and piecing them back together with more space. 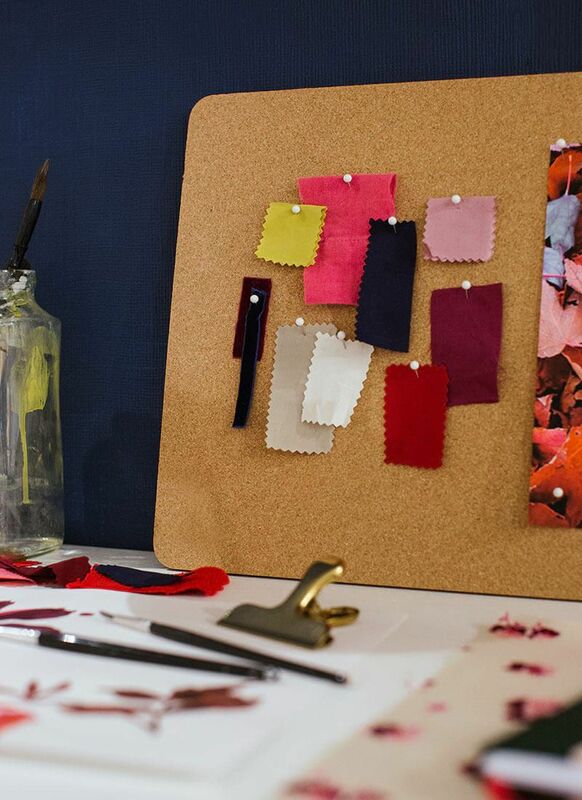 Q: Can you talk us through the rich, beautiful colours featured in the print? Q: What is your favourite medium to design with? Q: How does it feel when you see someone wearing a print you’ve designed? 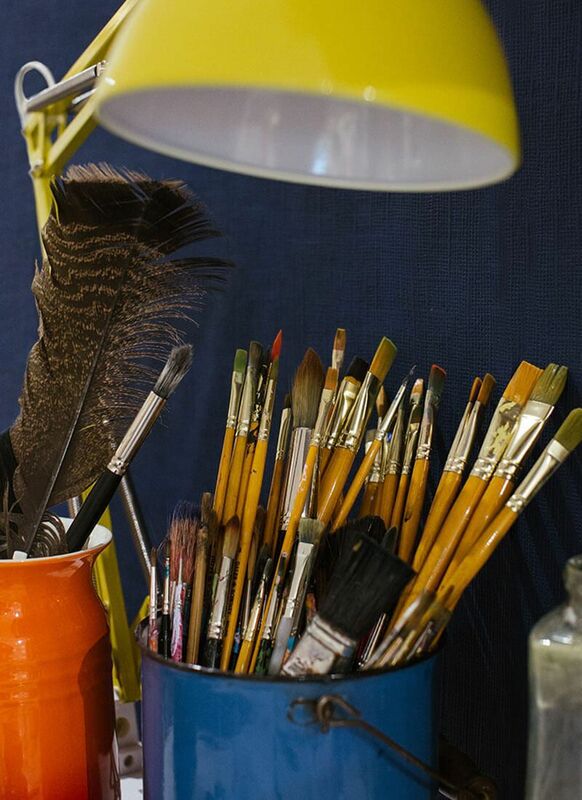 Q: When you’ve not got a paintbrush in your hand, what might we find you doing? Thanks Joanna, for both your time and your talent. 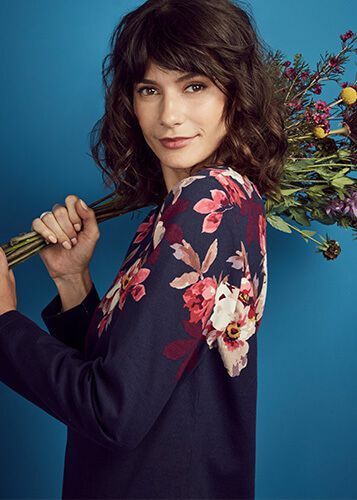 You’ll find Joanna’s Bircham Bloom floral making an appearance on our best-loved styles and new show-stopping pieces in our autumn/winter collection, which is available both online and in-store now. 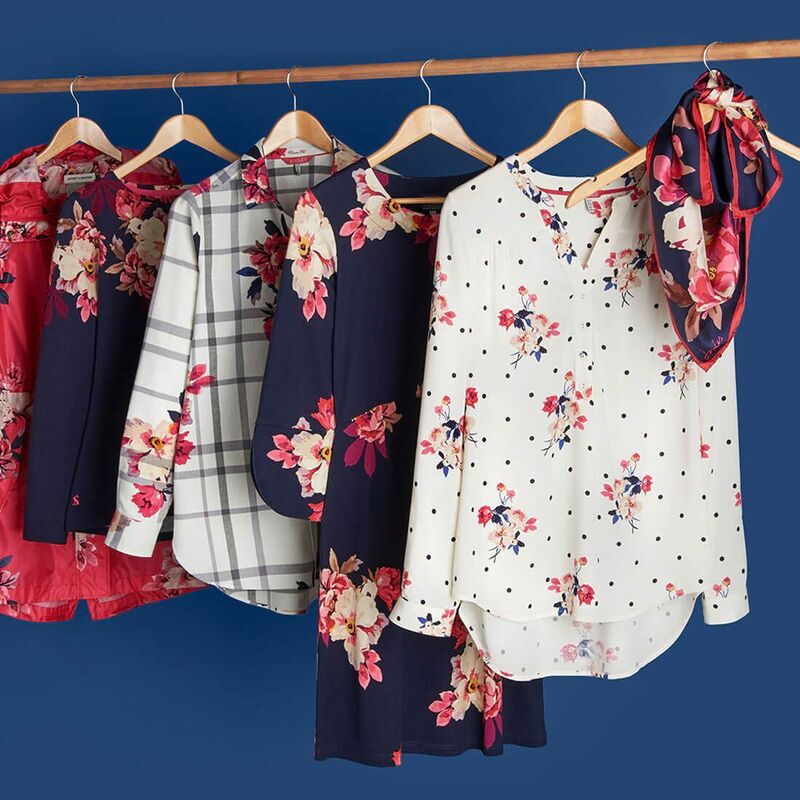 Beautiful designs………loved the pheasant last autumn and this year’s blackberry…………..I’m 70 and have been a big fan of Joules for years…………first buying pieces at County Shows years ago……….now my grandchildren wear your lovely designs. One request………..more summer pieces in lime green…………I have a linen shirt (one of five) in ‘fluoro yellow’ (it’s lime green!) which everyone admires……. so I think that more items in that colour would be really popular. Really interesting… l worked in black and white studio in the 70s. We had to produce the fine art for wallpapers. We had to produce 6-colour separations by hand… we had to measure the keyline with a microscope to ensure the bleed was correct. I had the same buzz when l saw wallpapers I’d worked on in situ. I can even remember recreating artwork from William Morris pieces loaned from the museum. I have very many Joules pieces particularly Harbour tops. I would love to see more emerald green and cobalt blue and orange. There seems to be a predominance of pinks. Perhaps more sea and shells.